Your online social presence is so much more than just posting content. It's about eye-catching designs and animations that speak directly to your audience. Do your social media posts get enough views? Is your audience really growing as fast as it could? 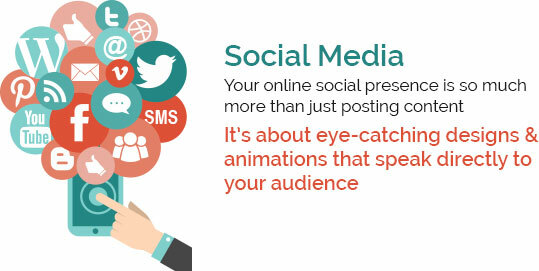 Images, videos and animations play an important role in your social media posts. People want to see your product in action. They want to know how they can benefit by buying from you. What your social media needs is a shot in the arm from expert designers like us. When you want to boost your marketing message as much as possible, get hold of us to make it happen.